Shhh! It’s a Secret Library Museum! 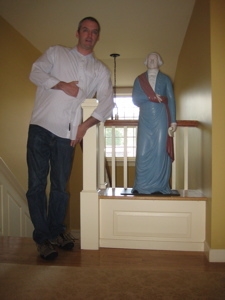 My 71st museum marks a milestone: My first “private tours given by appointment only” visit. How exciting! At least now I know I can handle them, as there are many others or so that require such TLC. And such tours are to be treasured. “How many tours do you give on a monthly basis?” I inquired. “Ummm… oh, about two. Maybe three.” Hm. I’m glad I waited until the tour was finished before asking my wonderful guide, Sue Walker, that question. The thing is, the Lewis Walpole Library doesn’t advertise itself as the museum it truly is. Sort of. Hey, they give tours, they have exhibits, they have permanent art collections, they have a long history, and they have some very impressive and unique old books. Museum. Period. First of all, this place is situated in New England WASP Nirvana: Farmington’s Main Street. This place is pure Pleasantville. The mile stretch of Main Street is an official Scenic Road, There are a bunch of Amistad Trail sites, the hopelessly expensive Miss Porter’s all girl boarding school is there, and it’s very near two other museums… In short, it’s the place I’d take a visitor from Albuquerque to walk around on their first visit to Connecticut. This IS Connecticut. And oh yeah, the Lewis Walpole Library is actually owned and operated by none other than Yale University, 40 miles to the south. Now that I’ve established that this place deserves museum status, I suppose I should get down to what this place is all about. 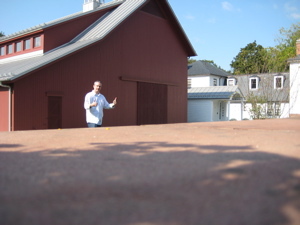 I approached the buildings – there are a couple red barns (one huge), two old white houses, one with a white building attached to another new looking red barn. Two women were drinking tea on the stone deck but they ignored me as I walked straight into the colonial house. The place was very nearly empty so I had free reign to walk around. 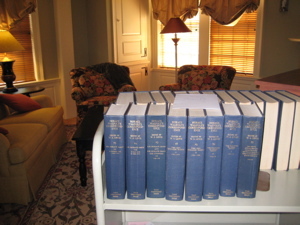 Wow… it is in pristine condition and is filled with what looked like old and important books. This house was built for Army Captain Timothy Root in 1784. 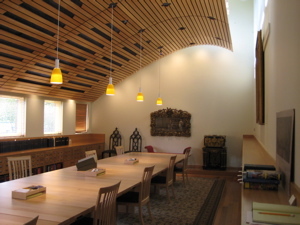 It was completely renovated in 2001 to accommodate scholars working with the Library’s collections, and now boasts nine bedrooms, each with private bath. What that means is that smart people from around the world stay here while researching doctoral and post-doctoral theses in the library next door. Must be nice. Out back, in the center of the Library “campus quadrangle” is the unfinished and not-yet open William Day Museum of Indian Artifacts, a small, one-story red structure originally built 250 years ago by local Native Americans as part of their residence. 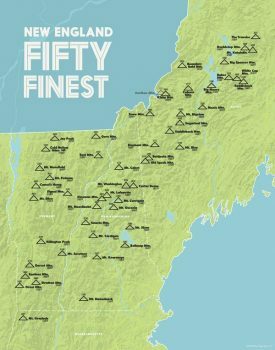 The last Tunxis (not as famous as the Last Mohican) actually owned it at one point. 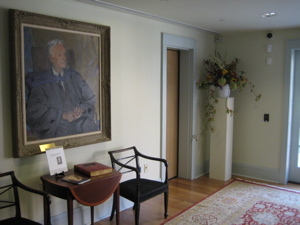 It was moved to its present location to house an exhibit of artifacts first unearthed on the site by Bill Day, the Lewises’ caretaker; later, Yale archaeologists organized several digs. A guy was recently hired to sort out how best to present the artifacts in a museum setting… so that’s one more to add to my list later! The library building is actually two connected buildings. The land is bordered on the west by the Pequabuck River just south of its junction with the Farmington River and near the remains of the Farmington Canal that ran from New Haven to Northampton in Massachusetts 150 years ago. There are also some excellent walking, jogging, and bike routes (the Library even provides a bike). Some specimen trees of interest among the many maples on the property are a Dawn Redwood (Metasequoia) and a healthy American Elm. 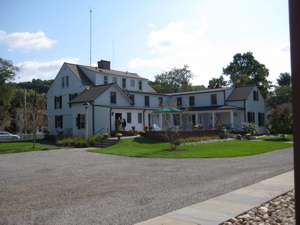 The Library building is a two-story white Georgian-style house built about 1784 for Revolutionary War General Solomon Cowles. 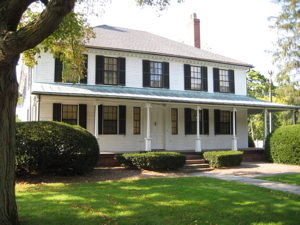 It is thought that the front porch wrapping two sides of the house may be one of the earliest examples of a porch original to the design and not a later addition. It is also believed that the intricately carved wood paneling and trim on the first floor interior is the work of Hessian prisoners of war. The Lewises engaged the architect William Adams Delano to design their late 1920s addition to the house to accommodate their growing collection. After poking around and finding many locked doors, I was approached by the women and found out that one would be my tour guide. She graciously apologized for not remembering my tour and we got on with it. 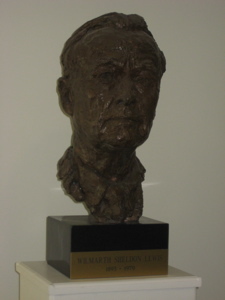 Wilmarth Sheldon Lewis, “Lefty” to his friends, began collecting books not long after his 1918 graduation from Yale. On a trip to London in 1923, Lewis bought a copy of John Heneage Jesse’s George Selwyn and His Contemporaries that was full of manuscript notes by Lady Louisa Stuart. Her lively commentary about the people and events described in the book piqued Lewis’s interest and led him eventually to Horace Walpole. Walpole (1717-1797) was the youngest son of Sir Robert Walpole, England’s first prime minister, and an energetic letter-writer for most of his long life. The view of the eighteenth century afforded by Walpole’s correspondence fascinated Lewis and led to his lifelong pursuit of all things Walpolian. Lewis acquired books, manuscripts, and prints as well as graphic and decorative arts, all in an extraordinary effort to gather information about Horace Walpole and his times, his house at Strawberry Hill in Twickenham, his interests, and his friends and contemporaries. Lewis spent nearly half a century, until his death in 1979, editing Walpole’s correspondence. Fully indexed and annotated, The Yale Edition of Horace Walpole’s Correspondence extends to 48 volumes and remains a remarkable accomplishment. Once again I’m reminded how we as a culture should celebrate OCD rather than ostracize it. So many museums owe their very existence to the obsessive. This whole story is a little bit crazy if you think about it, but I guess it’s how most academics are, in a way. Narrowly focused on a subject that no one else has bothered to be narrowly focused about prior. This Walpole guy (interesting that there was no “Lewis Walpole” then, huh?) was quite a character. One of his long correspondences was something called “The Harris List” which was a detailed description of the various prostitutes who worked in a particular area of London. He also apparently coined the word “serendipity” and pops up randomly all over the place for different reasons in all things 18th century and British. Yes, it will be quite serendipitous to stumble across his name in my future travels. Ms. Walker led me down a hallway adorned with some cool paintings by Thomas Patch. He is famous for his 18th century caricature paintings of the politicians and society gentlemen of his day. Well, that’s what I thought but after just googling him, it appears that his landscape work is more renowned. One thing he did in all the paintings here was include himself in a somewhat silly way. 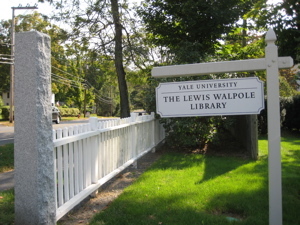 Walpole apparently really dug his work, so therefore Lewis collected it. Are you starting to see how this all works? 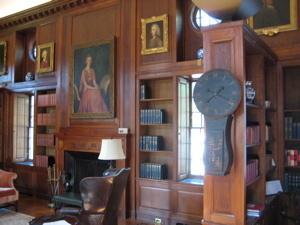 We then moved into a stately reading room straight out of Wayne Manor from “Batman.” High-backed leather chairs, floor to high-ceiling bookshelves, huge oil paintings and deep, rich colors. This room holds the “non-important” books which is obvious since I was a) allowed into the room and b) allowed to take a picture. 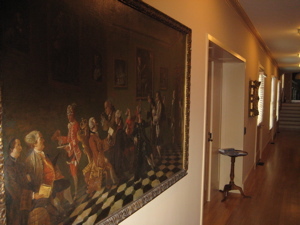 Down the hall and off in an adjoining room is the temporary exhibit space. Just days earlier, a new exhibit titled, “Portraits of Painters: Drawings by George Vertue and Horace Walpole’s Anecdotes of Painting in England” opened. The exhibition includes drawings by Vertue as well as the related prints published in volumes of Walpole’s Anecdotes of Painting. It was all very nice but well beyond my grasp and truthfully, my interests. There are 34 portrait drawings here which were puchased by Wilmarth Lewis; part of Walpole’s massive Vertue collection of 470 prints. So again, here’s the deal: Walpole was into Vertue, acquired a ton of his stuff, then wrote about the painters in the portraits, 170 years went by, Lewis tried to collect everything Walpolian, so he got a bunch of these prints and paintings and they are now displayed with the Lewis books which are really just Walpole writings. Yalies come here to study related stuff. Got it? I was taken to the real reading room, a highly secure space allowing for 10 readers at a time, under the watchful eye of a Library employee and several security cameras. 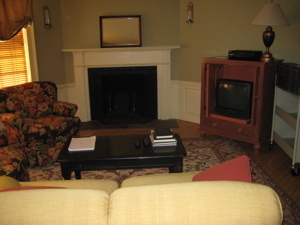 This room is brand new and really cool. 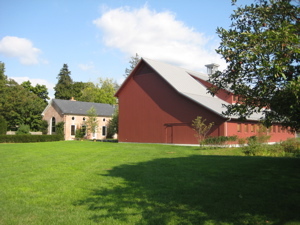 It was built to fit in with the colonial look and feel of historic Farmington (as a red barn) but is ultra-modern inside. Ultra-modern in one sense, but still retaining some decor from 18th century England of Horace Walpole. Some of his ugly gothic chairs are even here in this room. A bunch of Walpole’s other furniture is on display at the Hermitage in Russia. I also noted the “Encyclopedia of Ephemera” on the shelf. I mentioned it and learned about the Ephemera Society of America! I should be given a membership, gratis and post haste. I did ask and was told that I would indeed be allowed to see a book, but I’d need a reason. As the collection is pretty much the 2nd largest collection of 18th century British satire and caricature literature in the world, I couldn’t even pretend to make up a reason to see a book. But back in those secret, secure, climate controlled stacks are the library’s book and manuscript collections, numbering over 32,000 volumes, covering all aspects of eighteenth-century British culture. The library is perhaps best known for its collection of approximately two-thirds of the traceable (and half of the known) volumes once belonging to Horace Walpole; numerous editions of his own works as well as those printed at his Strawberry Hill Press, and copies of each edition of the 1842 Sale catalogue. OMG! 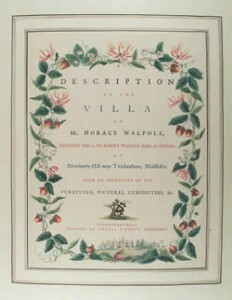 Highlights of a rich collection of extra-illustrated volumes include several copies of Walpole’s Catalogue of the Royal and Noble Authors of England, his Description of the Villa, the 1842 Sale catalogue, Seeley’s Horace Walpole and His World, and Pennant’s Journey from London to the Isle of Wight, to name but a few. If you know what any of that is and you haven’t been here, shame on you. I have no clue what any of that is and I was here. Oh, I’m not done… the library is also home to the largest and finest collection of eighteenth-century British graphic art outside the British Museum; its 35,000 satirical prints, portraits, and topographical views are an incomparable resource for visual material on many facets of English life of the period. There was one more story I learned here – that of Theodosia Burr Alson, daughter of Aaron Burr. There is a portrait of her hanging in the hallway here and apparently she has a rather legendary story about her. She sailed on a schooner from South Carolina to New York and the ship simply disappeared. All sorts of tales surround her disappearance from Pirates to ghosts to secret Indian lovers. 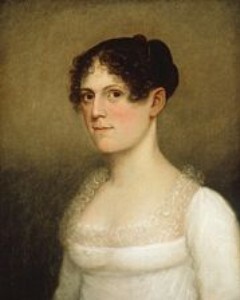 Randomly, Mrs. Lewis saw a portrait of her for sale in New York a few years later, bought it, and she had some relationship to the Burr family and somehow it now hangs here in Farmington. One last thing: A large portion of the collection has been digitized for your online viewing pleasure. Check it out here and let me know if you find anything of interest. This is a great place for several reasons. I can’t really recommend it because it’s a bit of an effort and commitment to visit… but if this sort of thing interests you, then you should absolutely give them a call and check it out. I didn’t retake my thumbs-up picture because some bearded academic guy with wire-rimmed glasses and patches on his tweed sleeves was staring at me from about 15 feet away. I know it’s a terrible shot, but I was made uncomfortable by Wonky Elitist, PhD.